Dozens of ineligible aliens who have been removed from the voter rolls in the city of Philadelphia, Pa., have cast ballots in recent elections, according to a new report from an election watchdog group. The Public Interest Legal Foundation, an Indiana-based nonprofit that litigates to protect election integrity, released a report on Tuesday detailing voter rolls in Philadelphia. The information was collected from public records requests made through the National Voter Registration Act. "The report only details aliens who requested to be removed from the rolls," PILF said. "No procedure exists to systematically scan voter rolls to detect aliens and election officials do not use data from the federal SAVE (Systematic Alien Verification for Entitlements) database to scan for illegal registrations by non-citizens." The group also discovered thousands of felons remain on the voter rolls despite having to be removed once incarcerated. "This means that poll books listing eligible voters will contain the names of ineligible registrants in the November election," the group stated. "By law, lists of eligible voters are to be kept accurate and current—they must only contain eligible voters." The Public Interest Legal Foundation sued the city of Philadelphia in April for refusing to provide information on non-citizen voters. The number of registered voters within the city have for years nearly exceeded the number who are eligible to vote. 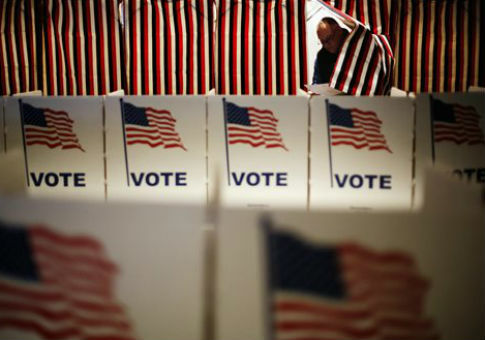 "Clean rolls are the most important ingredient for clean elections," said J. Christian Adams, president and general counsel of the Public Interest Legal Foundation. "This report shows that voter fraud exists in Philadelphia and federal and state law enforcement officials should enforce the law. Otherwise voter fraud will be encouraged." Adams testified in front of the Pennsylvania House of Representatives State Government Committee on Tuesday detailing his findings. The Philadelphia City Commissioners did not return a request for comment on its voter rolls by press time. The Philadelphia report comes on the heels of a report from the group that found thousands of ineligible aliens on voter rolls within the state of Virginia. The Public Interest Legal Foundation found 1,046 aliens who were illegally registered to vote out of the small sample of eight Virginia counties who responded to their public records requests. "The problem is most certainly exponentially worse because we have no data regarding aliens on the registration rolls for the other 125 Virginia localities," the group said. "Even in this small sample, when the voting history of this small sample of alien registrants is examined, nearly 200 verified ballots were cast before they were removed from the rolls. Each one of them is likely a felony."